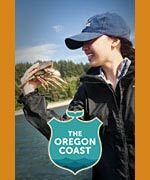 (Oregon Coast) – You could say: one man's storm is another man's treasure, when it comes to the Oregon coast. 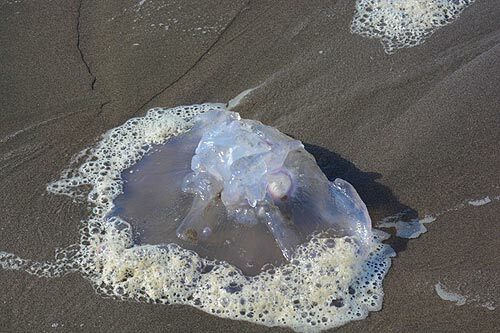 This weekend's wild waves and ample winds caused the ocean to cough up a bundle of things, and coastal experts say the coming days will make for some great beachcombing. (Photo above: moon jelly found this weekend, courtesy Tiffany Boothe, Seaside Aquarium). There's a lot to look out for, said Seaside Aquarium's Tiffany Boothe. She already found various creatures in the sand. Winds and currents like this will also bring in more creatures that have died at sea. Boothe found about 20 moon jellies, pictured here: sometimes sizable translucent creatures. These little guys have limited movement capability and mostly drift with the currents. Seaside is experiencing a run of brown waves, Boothe said, which is caused by a lot of phytoplankton called diatoms. These bloom in heavy numbers sometimes, occasionally causing the tide line to look muddy. It's a good thing - and very much a sign of a healthy ocean, Boothe said. 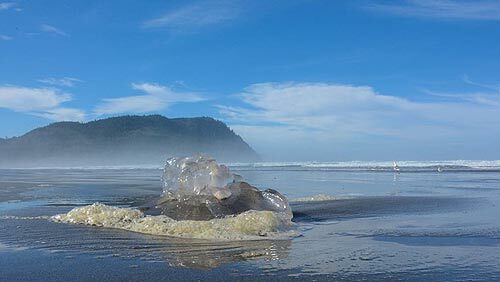 Storm surges also dug up many sea cucumbers – there's a certain kind that lives just beneath the sand. 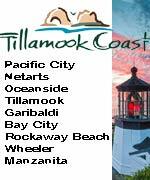 The central Oregon coast is a bit more prone to those giant balls of kelp. 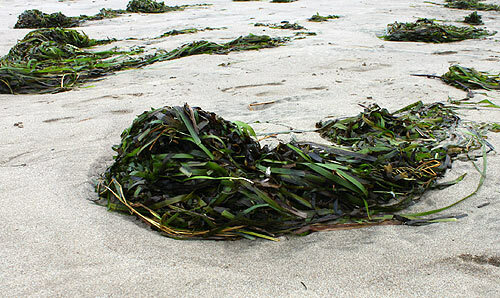 Aquarium manager Kieth Chandler said there are more of those kelp beds in that area, especially Depoe Bay and Newport. Storms rip those out and the waves deposit them onshore. But this time, the north coast could be seeing some of that, he said. Since a lot of the winds came from the south, they could well have carried a lot of that up north. “They come up in those big bundles,” Chandler said. While Chandler hadn't seen any as yet, Boothe said she found a few around the north coast. 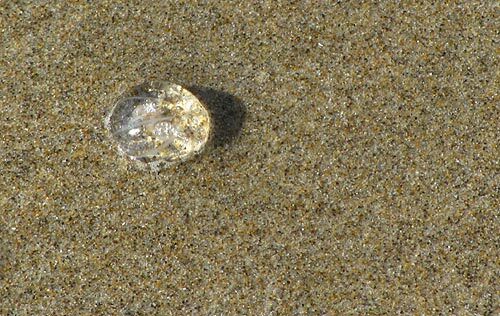 Spots like Lincoln City, areas near Seal Rock (just north of Waldport), and maybe Oceanside have a tendency to yield decent gravel beds after storms, which can mean good agate hunting. They are worth checking out, but it's likely that sand levels left over from summer are still too high to open up enough for the treasured rocks. 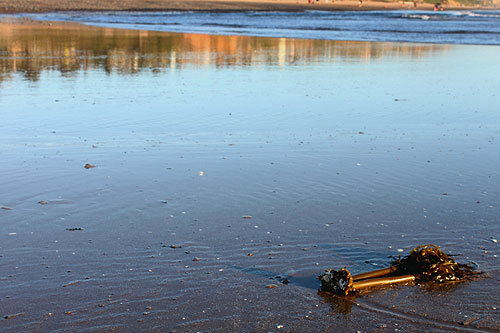 When stuff shows up in large bunches, it's a mish-mash of anything oceanic, an occurrence technically called detritus but often known as “ocean burps.” Keep a look out for large patches of brownish stuff: that's often where the most interesting objects lay – some of it still alive. (Photo at right: ocean burp, courtesy Tiffany Boothe, Seaside Aquarium). Periodically, after storms, the Seaside Aquarium has either found or been given live squid eggs or skate eggs, and these have hatched in their tanks. They often don't live for long, but some skates that have hatched at the aquarium do manage to survive awhile.